A drug prescribed by a physician makes people generally feel more at ease about taking it- since the drug is recommended by a doctor it surely must be safe. But as a San Diego dangerous drugs lawyer, I have seen the destruction these drugs can bring on the roadways. Prescription drugs have taken on a new role in recent years with 6 million Americans using prescription narcotics such as Vicodin for non-medical purposes. For most of the population, this would be considered better than abusing illegal narcotics, but these drugs have just as disastrous consequences. Recently a Seattle car accident case proved how dangerous these medications are whether prescribed or taken illegally. Bellevue personal injury law firm, Premier Law Group closed a car accident case involving a driver asleep at the wheel. The drowsy driver ran over and drug a construction worker twenty feet as he removed necessary items from his truck. The most common assumption would be the accident occurred at a late hour and the driver was simply tired—in this case, however, the driver had been illegally using a prescription medication. The medication made him drowsy, as the label clearly warns, and he fell asleep behind the wheel as an adverse side effect. The construction worker was rushed to the hospital where he remained for some time. He would never be able to return to his profession due to the extent of his injuries and had to retrain in a different field. What makes this case even more real is how often prescription drug abusers operate a vehicle without a second thought to their condition and the adverse reaction to the drug. Most of the 6 million Americans admitting to using prescription drugs in a recreational capacity admit to operating a vehicle while under the influence. 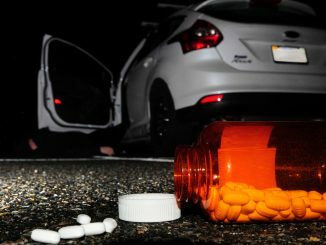 To learn more about the Drug Driving epidemic read the article “Drugs and Driving” by Seattle personal injury lawyer, Jason Epstein.